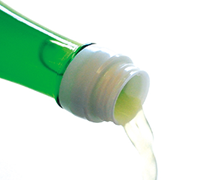 To avoid the bitter and rough taste from coming out during juice pressing, Yuzuya’s original tecnique, manual squeezing method makes 100% pure juice. 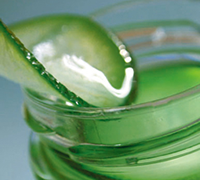 A good scent comes out and the mild sourness goes fairly well with various dishes. 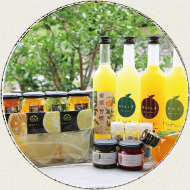 You can use Yuzuya’s juice products in Vinegared dishes, soup, sashimi raw fish, grilled fish, Fried chicken, Japanese pot meal(Nabe) Salad, marinade, carpaccio or use it as dish seasoning. With our particular manual manufacturing method, we process fresh and sweet scented Hagi Natsumikan. It doesn’t have a rough taste but it has fresh refined taste and scent.It’s additive free, so from small children to any age can enjoy the juice. 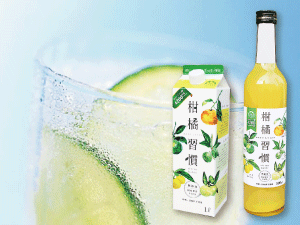 100% pure natural juice of a mixture of Daidai, Natsumikan, and Yuzu citruses. 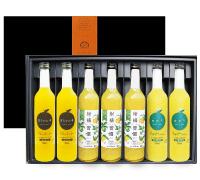 The 3 different kinds of citruses are well matched and you can taste the fullness of its fruitiness of those fruits themselves. 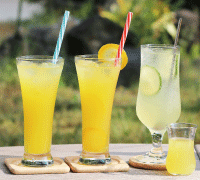 You can enjoy iced juice in the summer and hot juice in the winter with this dilution juice. Yogurt flavor chuhai (shochu liquor with soda), cocktail and it’s suitable as a confectionery making ingredient. This black tea has a refreshing aroma which has a lot of Hagi Natsumikan peel in it.Please enjoy your teatime by being surrounded by pleasant scent with the aromatic Natsumikan black tea. 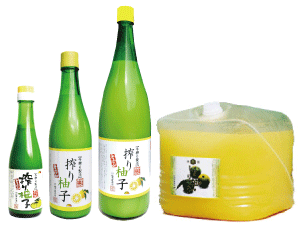 Yuzuya has various kinds of processed foods made with citrus juice and peel. We pursue the real deliciousness by making good use of its natural flavor. 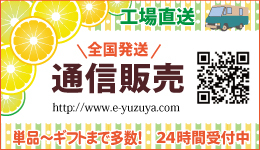 Those Yuzuya original products are delighted by the people who get them as gifts or souvenirs. 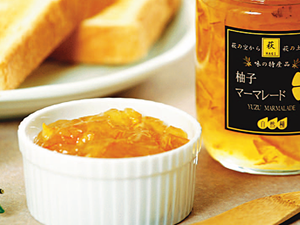 This British traditional style marmalade has a rich fragrance of Hagi Natsumikan peel. It has a peculiarly pequliar deep but slight bitterness. 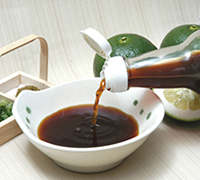 You can enjoy its nice and smooth texture and the thick syrup softly dissolve harmoniously. 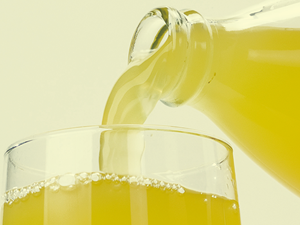 Yuzu contains a lot of vitamin C, gollagen, iron etc. It has a lot of beauty and health supporting ingredients. Also, the taste and the scent have relaxing effect on your heart and body. The peel in the tea preserve is edible. 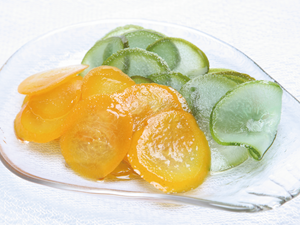 Yuzuya original slice uses the thick white part between the peel and the fruit. 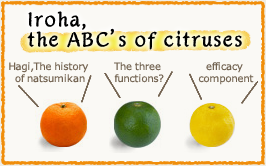 We can take out a little portion from one citrus. It needs careful treatment because this part is very sensitive, so we take care of the material up to bottling. The citrus fruit is inside of this wobbly elastic feeling jelly in your mouth. The jelly is in miniature bags each. You can freeze it and enjoy it as sherbet. Our products have a subtle and sophisticated flavor and the scent. We only use carefully chosen materials and we produce products free of additive such as chemical seasonings or preservatives. A Good scent and a good taste from authentic seasoning is used everywhere, especially in the culinary arts or Japanese style restaurants. 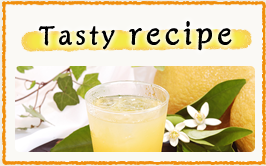 Hand squeezed premium juice and the authentic seasonings or relish will flavor up and spice up your dish. 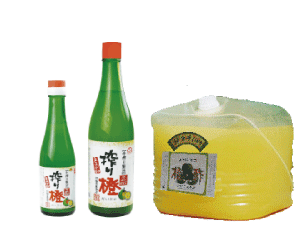 Special Ponzu is made using Yuzu or Daidai. 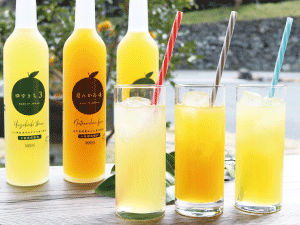 Hand squeezed premium juice and the natural soup stock with Umami will bring out the flavor. Carefully chosen fresh red peppers and salt make it perfect. Additive free, colorants free, and it’s very usable for many kinds of dishes. 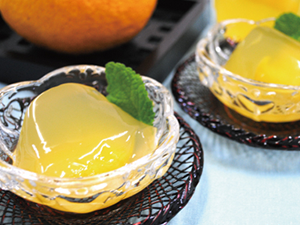 This Yuzu specialty is Yuzu-ya’s taste and flavor! It gives an A-1 kick on your dish. Good scent, Good taste.This relish has great reputation from the gourmet people who are strict on flavor. Yuzuya’s original gift selection has various items and it is rich in contents, so that you can choose items to put together in a wide variety. Choose the gift set for the event such as a celebration or a memorial matter. Please feel free to ask any questions.